Strategic change is getting harder to deliver at the levels demanded by both internal and external customers. Business colleagues are demanding change to both improve or protect revenue and to reduce or control costs – at the same time IT functions still lack both an effective partnership with business colleagues and the skills to support and drive these strategic changes. 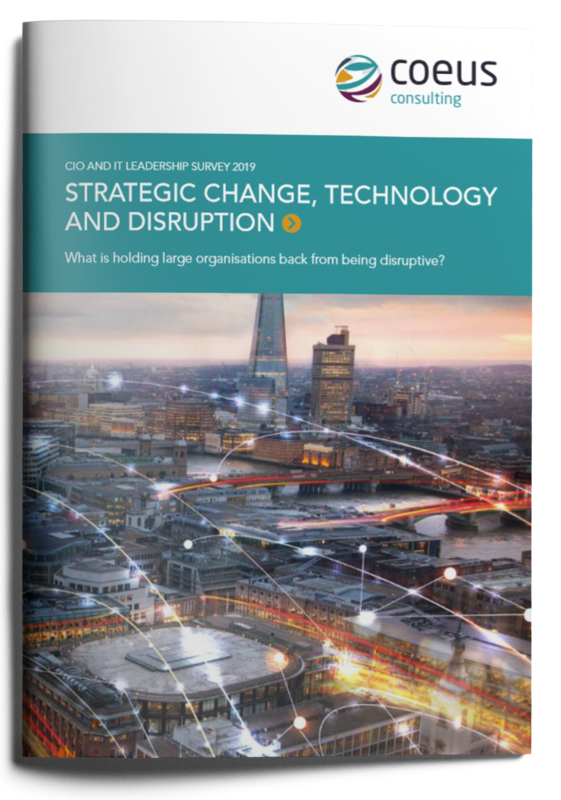 Our 2019 report looks at how the CIOs and senior IT leaders of large organisations are reacting to technology advancements and disruption and how they deliver the strategic change needed to respond to these. We help IT leaders of large organisations drive business growth, enhance agility, and create efficiencies. We support IT leaders’ enterprise architecture and technology adoption strategies, helping them execute complex programmes of technology change and maximise value from technology investments.